Key pro-Brexit UK cabinet members said Britain should look at its withdrawal from the EU as an opportunity and that the UK would be a more open country than as part of the bloc. Trade minister Liam Fox, Brexit minister David Davis and foreign minister Boris Johnson, all speaking at the Conservative Party's conference on Tuesday (3 October) in Manchester, attempted to shake up their fellow Tories as Brexit talks are move at a slow pace without a sign of a breakthrough. 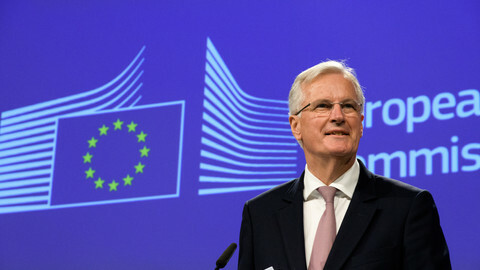 The ministers gave their optimism-boosting speeches just as the European Parliament in Strasbourg adopted a resolution stating that Brexit negotiations have not reached "sufficient progress" to be able to move onto trade talks. Earlier in the day MEPs said cabinet divisions are hampering the UK's Brexit negotiations. Manfred Weber, the group leader of the largest group in the EP, the People's Party, even called for the sacking of Johnson, who has been seen as undermining prime minister Theresa May since she gave her Brexit strategy speech in Florence two weeks ago. Johnson told the conference that the UK government is united behind "every syllable" of May's Florence speech on Brexit, trying to cool off criticism of him challenging May's leadership. 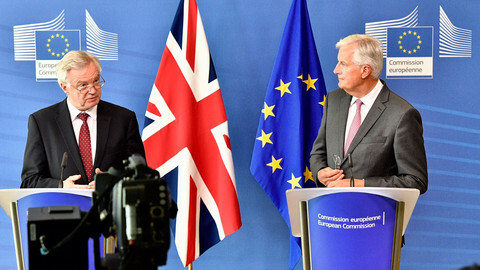 May said at the time that the UK is committed to honouring its commitments made as an EU member, and that Brexit would not require EU countries to pay more or receive less from the EU budget – a significant statement still awaiting detailed clarification by EU negotiators. May has also asked for a transition period after Brexit that could last for two years. That means actual Brexit might only come in 2021, not on the date of withdrawal in 2019. 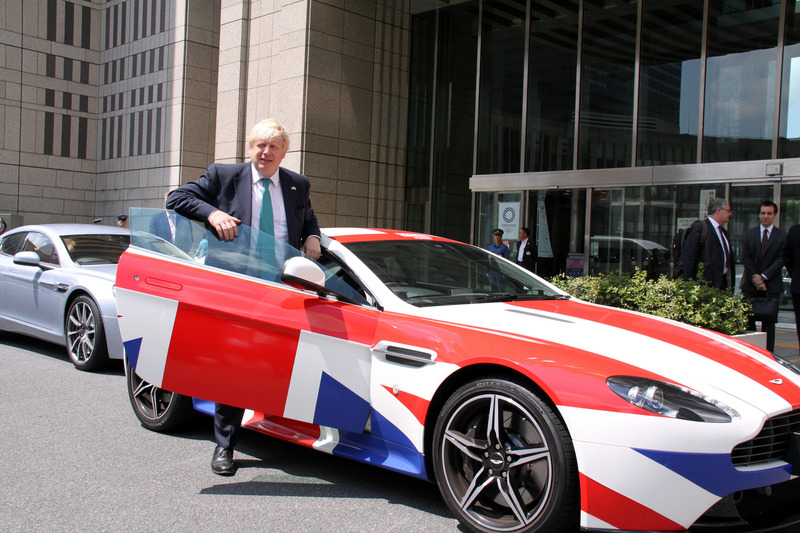 Johnson nevertheless sounded upbeat by Britain's European prospects. 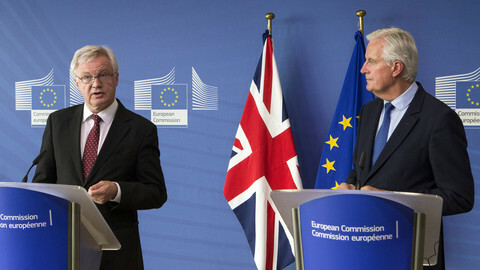 "We can build a deep and special partnership through free trade [with Europe]," Johnson said. "We will be no less European," Johnson said, adding: "We are one of the quintessential European nations." Johnson called on party members to seize the opportunity of Brexit. 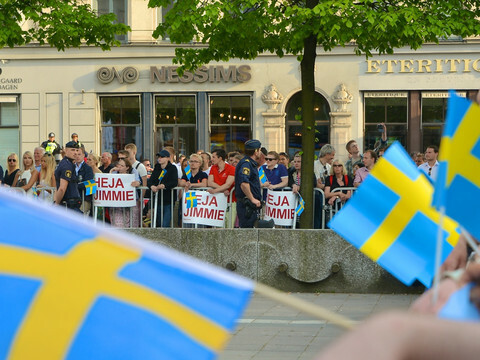 "It is time to stop treating the referendum result as though it were a plague of boils or a murrain on our cattle or an inexplicable aberration by 17.4m people. It is time to be bold, and to seize the opportunities and there is no country better-placed than Britain," he told cheering Tories. Johnson said Britain has an chance to become truly global. "After Brexit that is what our partners are going to get as this country is freed from endlessly trying to block things in Brussels committee rooms. Freed to stop being negative and to start being positive about what we believe in – including free trade," he said. 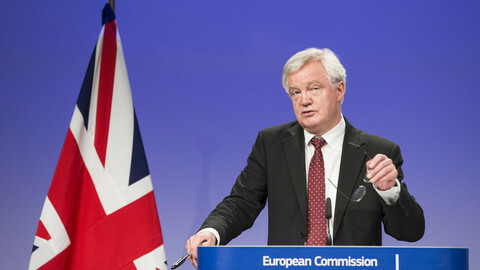 Brexit negotiator Davis also told the conference to "keep their eyes on the prize" that is offered by the UK leaving the bloc. "An opportunity to make sure that all the decisions about the future of this country are taken by our parliament, our courts, our institutions," he said, describing Brexit. "Decisions about how to spend our taxes - made here in Britain. Decisions about who comes into the country - made here in Britain. All our laws - made here in Britain," he added. Davis said Brexit will give a chance for Britain to be more open to the world. "Now that we are leaving the European Union, it allows us to be more international, not less," he said. Trade minister Liam Fox told the audience Britain has already begun discussions "about the future relationship" with the United States, Australia and New Zealand, and have reached out to more than a dozen countries on trade. A new round of Brexit talks will begin next Monday in Brussels. 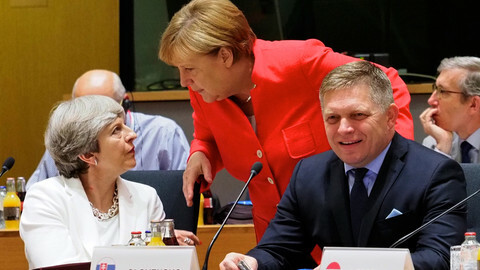 EU countries want to see the fine details of the proposals British PM May put forward in her Florence speech last week as the fourth round of talks kicked off on Monday.